Labor’s waste minimisation policy, announced today by Leader of the Opposition Bill Shorten MP and Shadow Environment Minister Tony Burke MP, is rocket fuel for Australia’s domestic recycling, its industry, and millions of Australians who strongly support recycling. Tyre recycling will be given a greater focus under a new partnership announced today by the Australian Council of Recycling (ACOR) and the Australian Tyre Recyclers Association (ATRA). The recycling policy today released by the NSW Labor Opposition hits the right recycling notes and could contribute to up to 4700 new jobs in NSW, according to the Australian Council of Recycling (ACOR), the peak body for the sector. A new poll by ReachTel shows strong support for ‘red bin recycling’ and affirms the NSW Government’s recent moves to secure the future of the Alternative Waste Treatment (AWT) industry, according to the Australian Council of Recycling (ACOR). NSW Government has reaffirmed it's support for the continuation of the alternative waste treatment (AET) industry. options to better manage single use plastics (SUP) and reform the states Container Deposit Scheme (CDS). Would you pay an extra $4 for a car tyre or $16 for a mattress to cover the cost of recycling at the end of its life? 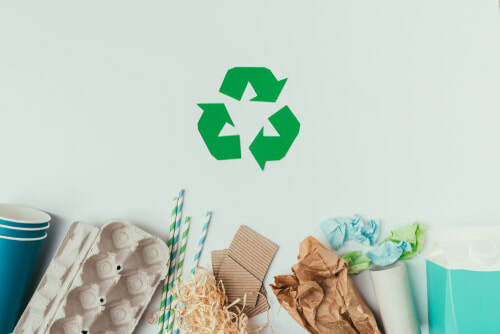 ACOR'S focus for 2019 will be promoting the uptake of recycled content products through innovative industry-led projects, according to the ACOR AGENDA 19 released by the peak body today. Click here to view the full Media Release. More recycling from NSW households could reduce taxes by up to $250 million per year or some $100 per household, according to the Australian Council of Recycling (ACOR). Click here to view the full Media Release. The Victorian Government’s “Recycling Industry Strategic Plan” shows leadership and delivers needed certainty in uncertain times, according to national peak body, the Australian Council of Recycling (ACOR). Click here to view the full Media Release. ​ACOR is pleased to have accepted the membership applications of Australian Paper Recovery, Bingo Industries, Closed Loop and Northern Adelaide Waste Management Alliance at its Board meeting last week in Brisbane. Click here to view the full Media Release. As single-use plastic bags are phased out by Woolworths and Coles, it’s time to go to the next level in Australian recycling and have big brands commit to recycled content in their packaging, according to the Australian Council of Recycling (ACOR). “It’s good that the big supermarkets are seeking to reduce plastic consumption, but frankly plastic bags have a smaller comparative impact. We make much bigger gains for the environment and the economy by ensuring that there is recycled content material like used plastic in products’ packaging. Closing the loop creates jobs and keeps rates down,” Pete Shmigel, ACOR CEO, said. “Giving consumers a chance to buy recycled content products has more benefits than bag bans, and survey work shows more than 80% of Aussies support such a move. Ministers can do more to encourage recycled content in packaging at their next discussion about the China crisis. “Putting recycled content into Australian packaging creates domestic demand for collected material and that drives investment and jobs in remanufacturing into new products, and lower risk for Councils’ kerbside recycling collections. “At present, Coles appears to have a voluntary target of 5% of products sold having recycled content. It’s unclear what Woolies’ target is. It would be great if both companies said what their targets are for recycled content going into the future, and for the Australian Packaging Covenant Organisation to say what the target will be for the whole supply chain. “Recycled content – including in the increasing proportion of packaging controlled by supermarkets’ home brands - is a vital defence against China and now other countries who are no longer taking materials collected from Australian households and businesses. “Without recycled content and other measures to make recycling sustainable, we are ‘pushing’ material out and not ‘pulling’ it through. It just shifts more costs to local governments for recycling services. If we can’t get progress through voluntary measures, the community is right to expect regulation to get it done, as is the case in Europe. “Coke is showing what can be done. Mount Franklin water bottles are all made with recycled content plastic, and they are looking at switching 50% of all their bottles to recycled content,” Shmigel said. ACOR represents more than 30 organisations involved in collecting, sorting, processing and remanufacturing recyclate in Australia, as part of $20 billion nation-wide industry. It has called on Environment Ministers to make a one-off $150 million investment to keep 50% of material shipped to China in Australia and generating 500 additional jobs. During their tour of drought-impacted districts, Prime Minister Malcolm Turnbull and Deputy Prime Minister Michael McCormack have a great opportunity to consider recycling’s benefits for the bush and drought resilience. Click here to view the full Media Release. At their meeting today, Australia’s Environment Ministers have recognised the need for reform, but now need to move to real action to re-boot recycling, according to the recycling sector’s peak body. Click here to view the full Media Release. With Environment Ministers meeting tomorrow to make decisions about recycling’s future following Chinese bans on Australian material, a survey released today shows that 88% of Australians support government action to assist the recycling sector. The survey was conducted by leading polling firm Crosby|Textor. Click here to view the full Media Release. ​In the midst of the recycling crisis and the lead up to the April 27th meeting of Australia’s Environment Ministers, a new report commissioned from independent experts has found that hundreds of new jobs can be created in Australia by government investment in the domestic recycling sector. Click here to view the full Media Release. ​​In this interview, ACOR CEO Pete Shmigel argues for a National Circular Economy & Recycling Plan including a $150 million investment to keep 50% of material previously exported to China in Australia and creating Australian recycled content products and up to 500 jobs, including in regional centres. The interview starts at 1:07:06 and goes for about 10 minutes. ACOR CEO Pete Shmigel argues that Australia should emulate China and create a plan to build a new domestic recycling industry within a circular economy. The Australian Council of Recycling (ACOR), the peak body for the recycling sector including some 60 member organisations, welcomes the NSW Government's recycling relief package announced today. Click here to view the full Media Release. If two company, is three a crowd? VIC posts healthy surplus but how much allocated to ​waste? Opinion: Is global steel glut caused by China going to start a trade war? ﻿Are you ready to hear how future technology and innovative business practices are enabling new models of production and consumption to harness greater value from resources? The World Resource Forum Asia Pacific includes presentations from business leaders, decision-makers from federal and state government and international experts from Japan, Korea, India, US, EU and across Australia. We will explore important themes: business models for a circular world, wealth from waste, new markets for technology and innovation, green manufacturing, managing E-waste,resource governance and social responsibility. Gain exclusive access to interactive workshops, run in partnership with leading organisations including Sustainable Business Australia, Zero Waste International Alliance, WWF, Australian Alliance to Save Energy, Sustainability Victoria and the NSW Office of Environment and Heritage. Please visit World Resources Forum Asia Pacific's website for more detail. The current waste hierarchy advocates waste avoidance and minimisation. Indeed, it is a useful intermediate/ transitional framework. However, the approach is linear and not sustainable. Circular economy emphasizes on systems thinking- i.e. 'cradle to cradle', which aims to achieve waste minimisation through maximising post- consumer materials recovery and recycling. ACOR President and Weston Aluminium Managing Director, Garbis Simonian wins WME's Leaders 2013! In order to crack down on illegal activities in waste storage, recycling and processing sector, the New South Wales Government? ?/ Environment Protection Authority (EPA)?? approved the introduction of the Protection of the Environment Operations (Illegal Waste Disposal) Bill 2013. What's New in Packaging Recovery? The Western Australia Environmental Protection Authority (EPA) has granted final approval for New Energy's Boodarie Waste-to-Energy and Materials Recovery facility near Port Headland.